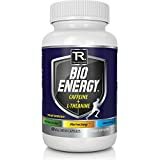 #1 Best & Proven Formula For Focused Energy, Optimal Brain Function, And Better Mood - 100% Natural Nootropic Supplement - Caffeine(100mg) L-Theanine(200mg) 60 Vegetarian Capsules (UPC 820103146890) is sold at the following online stores. We've find the latest prices so you can compare prices and save money when making your purchases online. Please click on the links below to browse to each store's webpage.